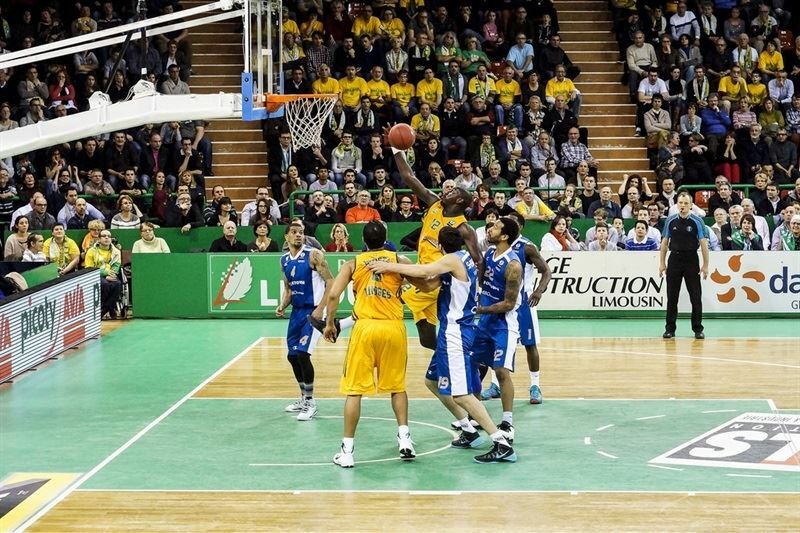 Limoges CSP claimed a share of first place in Group J with an 81-70 victory over visiting FoxTown Cantu on Tuesday. The hosts used a late 9-0 run to take control in improving to 2-1, while dropping Cantu to 1-2. Adrien Moerman starred with 20 points and 11 rebounds for the winners, while Leo Westermann and Jamar Smith added 11 points apiece and J.P. Batista scored 10. 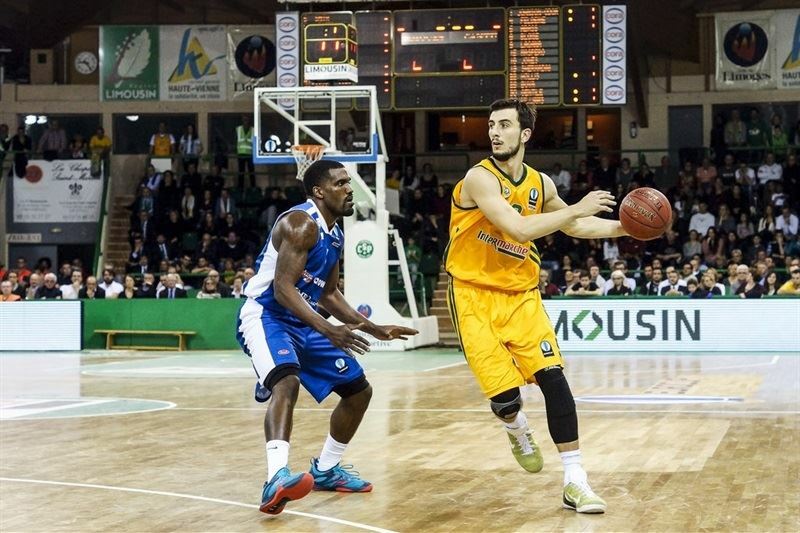 Westermann also dished 6 assists for Limoges, which outrebounded the visitors 44-26. James Feldeine scored 16 of his 19 points in the third quarter for Cantu. Damian Hollis netted 12 points and Stefano Gentile and Darius Johnson-Odom each had 10 in defeat. 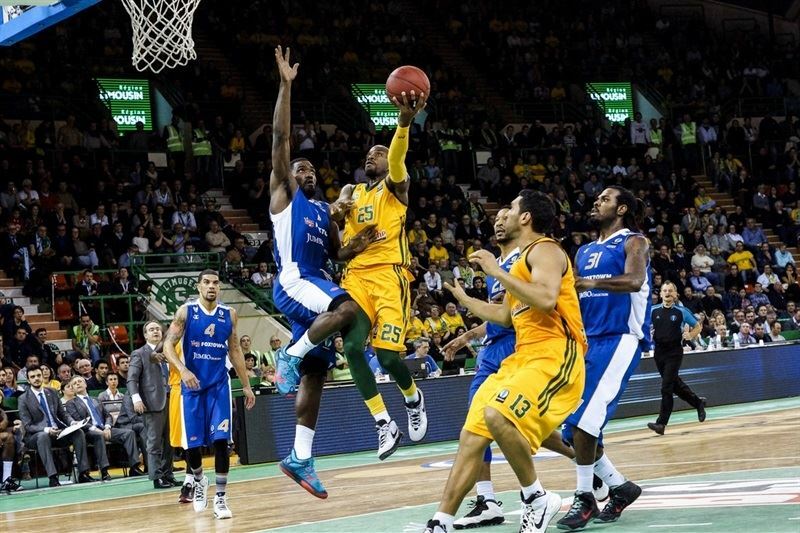 The first half featured several runs from each side before the French champs settled for a 37-33 halftime lead. The game remained tied into the fourth quarter and was tied at 64-64 with less than five minutes remaining. However a Moerman triple sparked a 9-0 run that also saw Westermann score 4 points to point the hosts toward victory. 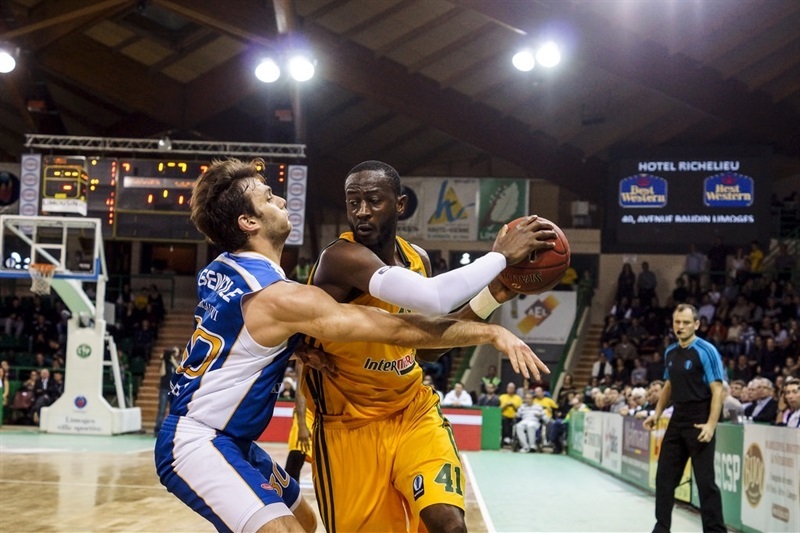 Nobel Boungou-Colo was superb inside and Westermann drained a triple in a 7-0 Limoges start, but DeQuan Jones scored twice in a 0-9 Cantu response to take the lead. The teams essentially traded shots the rest of the opening quarter, which ended with the two sides knotted at 17-17. Batista scored twice and Boungou-Colo sank a three as the hosts moved in front 26-21, but Johnson-Odom’s second triple tied the game midway through the second quarter. Ramel Curry scored 5 in a 7-0 Limoges run only to see Cantu climb back within 1. 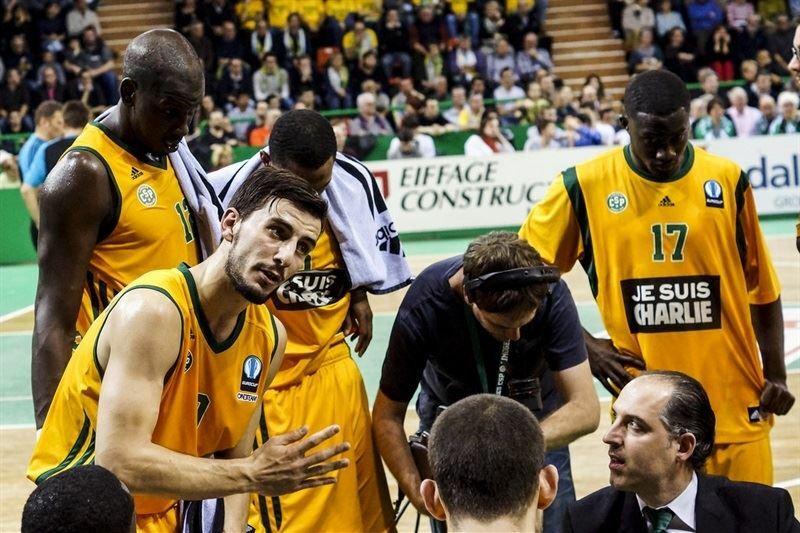 Westermann beat the buzzer to give Limoges a 37-33 halftime advantage. Gentile started the second half with a three before Feldeine’s basket-plus foul evened the score at 39-39. Back-to-back threes by Boungou-Colo and Moerman gave Limoges some breathing room, but a pair of shots from downtown by Hollis kept Cantu close. Though Moerman made it 52-45, Feldeine scored the next 7 points to tie the game. He soon added a pair of threes for a 57-58 Cantu lead. 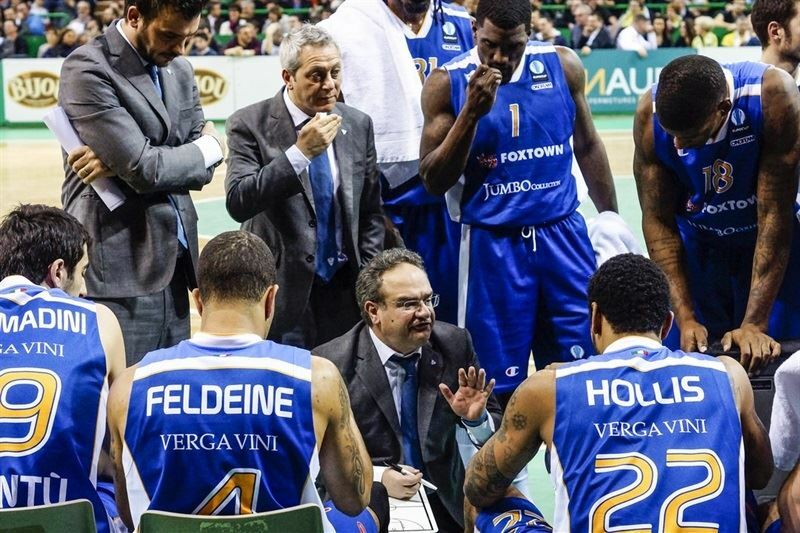 Frejus Zerbo’s basket and Pape-Philippe Amagou’s free throws left Limoges with a 61-60 lead through three quarters. 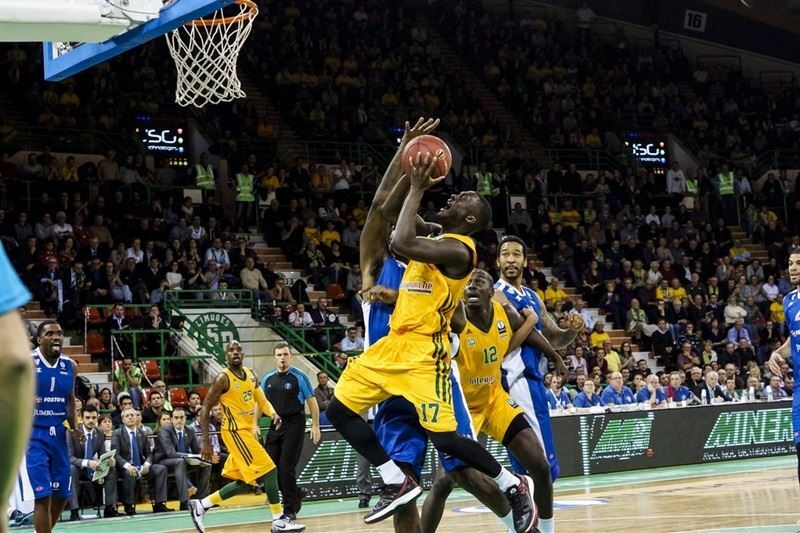 Awudu Abass restored a slim Cantu advantage before Westermann tied the game with a three. Moerman sank a go-ahead three as part of a 9-0 run in which Westermann scored 4 points for a 73-66 lead with less than two minutes to go. Hollis cut the difference to 3, however a Smith three-pointer and Moerman free throws essentially iced the game in the final minute.